Next Friday we can enjoy the new Autumn menu in our restaurants. The great moment of seasonal products such as Basque mushrooms, “alubia” from Tolosa or the piquillo pepper. As usual in Grupo Sagardi, the y are products of origin and direct from the producer to the table. Like the seasonal mushrooms, the beltza mushroom from the hay forests of Gipuzkoa and Navarra or the wild mushrooms from the French and Catalan Pyrenees of our supplier Pau Santamaría. We prepare them in a simple way to preserve all their original flavors, with a simple sauteed with free-range egg yolk. 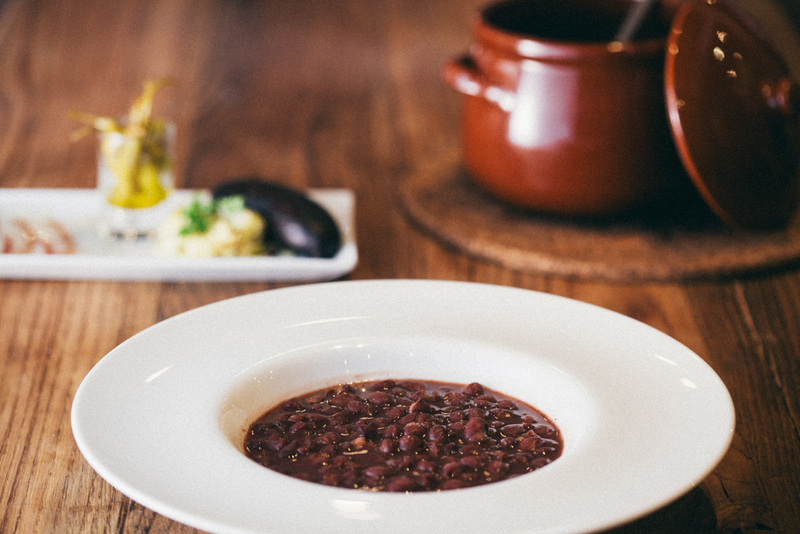 From Tolosa comes one of the most classic produce of Sagardi, the “new” black bean from Tolosa, coming from the farmhouse of Goikoetxe in Herialde. It is a dark purple, almost black, oval shaped bean, which stands out for its fineness of skin, buttery and excellent taste. With its sacraments, the vegetable “morcilla”, the Iberian bacon, the cabbage and the chilli peppers, we already have a celestial dish. Another of the great products on Autumn menu are the “piquillo” peppers that arrive to us from the gardens of Tudela. We roast them with wood and peel them by hand, one by one. An authentic Basque delicacy and the perfect complement to our classic Basque txuleton. Also, the most traditional classics, such as the cod “morro” with clams and mushrooms, the “pochas” with cod or the seasonal vegetables with “choricero” pepper sauce, will not be missing in our menus. A season to enjoy the authentic flavors and products of a lifetime.